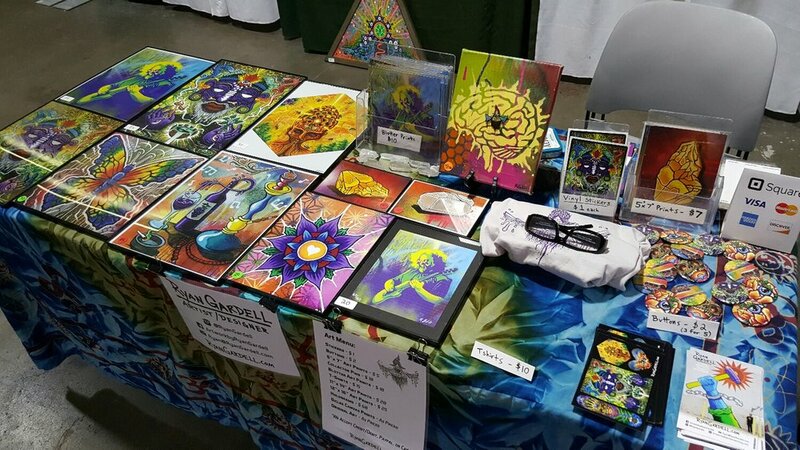 Recently exhibited my art the 2017 New England Cannabis Convention in Boston MA over the weekend of April 22-23. Huge turnout of activists, enthusiasts, growers, entrepreneurs and patients with a shared love and appreciation for this magical plant. It's also no secret that the cannabis community shares a love for art as well, of course cannabis enhances the senses and thus makes viewing art more enjoyable. I find it fascinating how diverse the crowd at this event was, people from all walks of life, all ages, genders, races, with a common appreciation for the culture that surrounds the ritual of the herb. The feedback from attendees was astounding, and resulted in my most successful art vending endeavor to date. 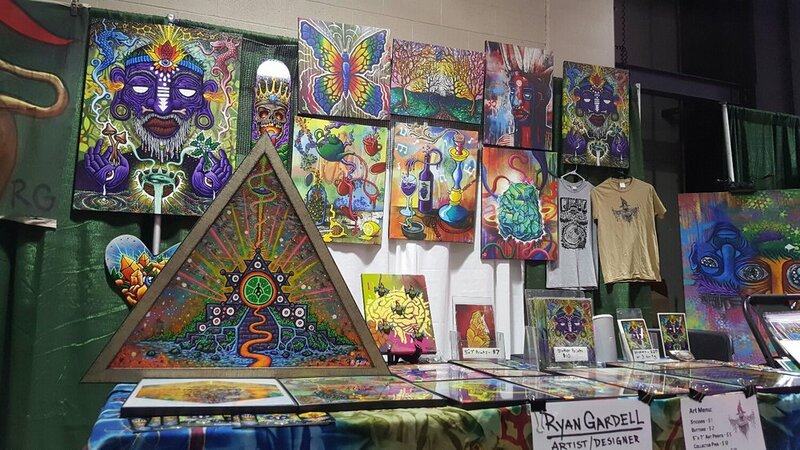 The economic boom that this industry is experiencing with legalization has begun to trickle down to the creative fields, and fuel the progression of visionary arts culture here in the Northeast United States. I'm excited to continue supporting this community through my art, connecting with the greater message, and watching the movement grow organically and sustainably.